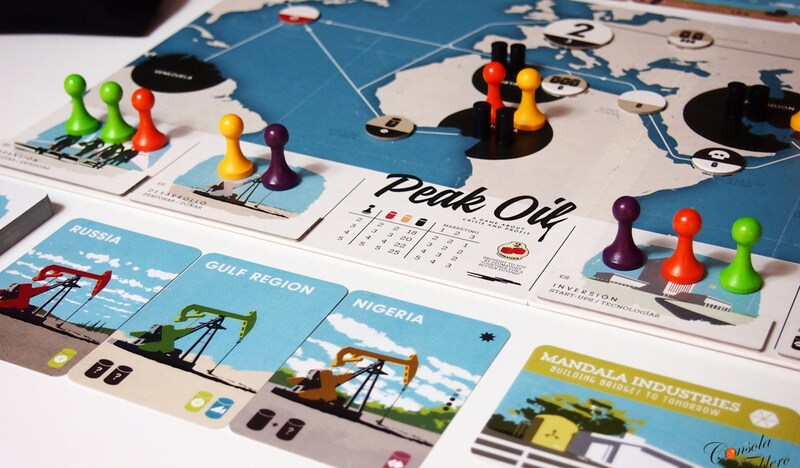 Peak Oil is a board game where you will be a Petroleum Magnate and you will have to face the reality of the end of your business because the oil is running out, in addition to other factors that will take you to the limit. But it is not all about suffer that crisis, the player will have the opportunity to prosper changing his business model developing of clean energy sources. Utopia or is it simply a good simulation of what is happening? It is an excellent way to put this “dark and viscous” matter in hands of everyone. The interesting thing about the game is its educational potential. • And especially TV news (which does not interest Petroleum Magnates). In order to survive, you will have to invest in clean technologies, such as Hydraulics, Renewables, Alternative sources, etc.